How Can DAWN Clinical Software Benefit You and Your Clinical Services? Save money by doubling your staff productivity, reducing expensive dangerous errors, and streamlining your IT. DAWN software’s reporting tools and benchmarking service allow you to measure values, outcomes, and costs easily, saving you time. With its value for money and proven reliability, our software is a wise investment. Using DAWN software, other clinics have cut patient turnaround in clinic from 45-50 minutes to 5-20 minutes. They’ve achieved a 22% increase in productivity within 6 months and doubled patient numbers without the need for extra resource. Our customers manage an average of 600-700 patients per health care professional. 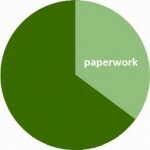 Increase productivity: Physicians can spend 35% and nurses as much as 50% of their time on paperwork. 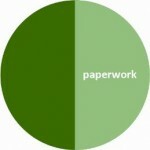 Reducing this paperwork dramatically increases productivity. DAWN software automates and streamlines non-clinical work, so clinical staff can potentially double their patient numbers. Avoid costly and dangerous errors: Mistakes due to human error or badly managed information systems can be very costly – and sometimes fatal. DAWN software uses best-practice design to reduce human error. It flags up potentially dangerous situations and keeps all the key information visible, so nothing’s overlooked. Streamline your IT: Use one system to cover multiple diseases: it simplifies your IT and means you spend less staff time on training. DAWN’s customer services and friendly help-line also reduce the need for training and take the pressure off internal IT. Plus, the software is configurable to suit your requirements. 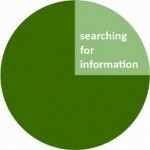 Measure value, outcomes, and costs easily: The 2006 Accenture Survey found that managers “spend up to 2 hours per day searching for information. 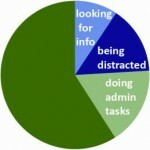 59% miss information that would be valuable to them. 42% of managers say they accidentally used the wrong information.” With DAWN software’s reporting tools, you can quickly extract the information you need. Benchmark your centre: Our anonymised benchmarking service lets you compare your performance against other centres around the world, and meet audit requirements. When you choose software for your centre, it needs to match these criteria: reliable, tried & tested, a quick service, good training, customisable, easy to use, and friendly support. DAWN’s longevity and reputation are well-established: we currently work with more than 300 top healthcare institutions around the world. Our software meets all the key safety and ISO standards to ensure your patient data is protected and safe. It is customisable and integrates with other industry standard software. We also offer help transferring to the new system and friendly IT support for your staff. DAWN software is value for money with proven reliability. What some of our customers say……..